Delta Livestock Construction offers a highly skilled group of engineers, construction superintendents, estimators, fabricators, and installation crews experienced in the specialized field of livestock facility and dairy construction.. This team of professionals work with our own crews and local sub-contractors to provide quality facilities on time...in budget. 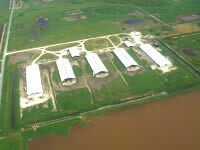 Our specialized background and experience with dairy operations makes us uniquely qualified to design / build your next poultry, swine or dairy facility. How We Build� On Time� In Budget! With Delta Livestock Construction, the owner is integrally involved and maintains ultimate control of the construction delivery process. 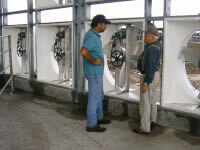 We will work with you to select the methods and equipment best suited to your particular project. Our Design / Build method of livestock and dairy construction saves time, money and frustration by allowing us to provide both dairy design and dairy construction services. Our methods simplify the dairy construction process and reduce costs. We are the single source of responsibility for cost, quality, schedule and performance. 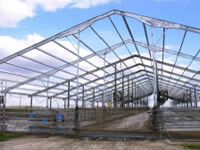 Our unique Livestock and Dairy Construction Management process concentrates on working closely, on-site, with the owner, equipment suppliers, sub-contractors and our crews. Working as a team, we provide accurate cost information based on the most current documents and have a full understanding of the scope of the work. The function of the construction manager is to foster a cooperative relationship between Delta and the Owner to complete each project in budget according to the plans and specifications agreed upon.